Catch Wrestling is known to be the original North American ancestor of MMA, modern submission grappling, and even professional wrestling. Its origins lie in the regional wrestling styles of Europe such as Collar-and-elbow, Cumberland, and Lancashire catch-as-catch-can. Under this stricter definition, it is one of many styles of professional wrestling, specifically as practiced in carnivals and at public exhibitions from after the American Civil War until the Great Depression. During the late 1800s in traveling carnivals, this martial arts style grew and separated itself from Brazilian Jiu-jitsu. For example, the attention to leg locks, the variations on traditional submission, and the emphasis on gaining the top position. The last idea is especially important as Catch Wrestlers do train their off-the-back guard game just as Judo and Jiu-jitsu players do, also firmly believe that “life is better on top”. Chris Franco proved the effectiveness of Catch Wrestling in his first-place finish at the Oregon State Jiu-jitsu championships, and his former training partner Josh “Warmaster” Barnett has also carried the Catch Wrestling banner through many victories in organizations including UFC, Strikeforce and Pancrase. We proudly carry the traditions and history in our classes. 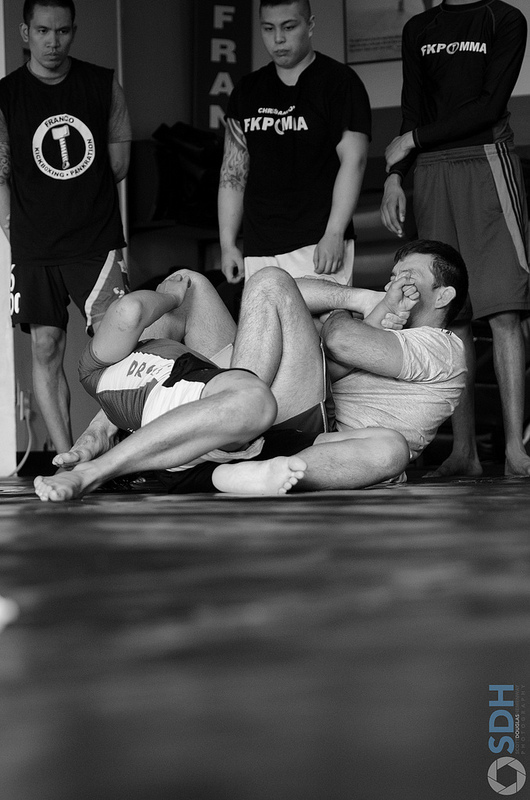 We have formed one of the most complete Catch Wrestling programs in Vancouver to date. You will come out with more solid takedowns, breakdowns, ground control (rides), and escapes after joining our catch wrestling classes. We live and breathe catch wrestling here at FKP MMA Vancouver; from its rough & tumble origins to its evolution into modern “freestyle” and “folkstyle”.